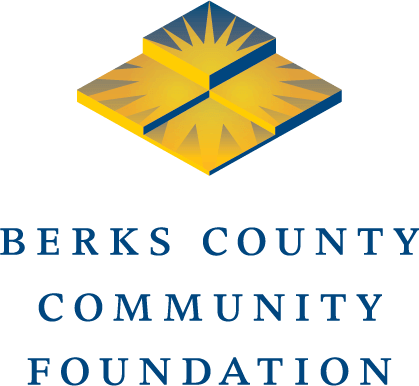 As part of our 25th Anniversary Celebration, Berks County Community Foundation is taking a look at the past, present and future of a different aspect of our region in each quarter of the year. In the first quarter of 2019, we focused on health in a variety of ways. This video provides a glance at more than $5 million in grants we have awarded over 25 years to improve the state of local health. In the first quarter of the year, Monica Reyes, our Health and Human Services Program Officer, attended several community events to hand out oral health kits and some of our 25th Anniversary goodies. Monica is the coordinator for the Berks County Task Force for Oral Health, a community-driven effort convened by Berks County Community Foundation to turn the tide on the county’s poor oral health. When kids in Berks County do not see a dentist until after they are 3 years old, they risk having more challenging health issues that can affect them for the rest of their lives. By focusing on young children in Berks County, the Task Force’s Brush Up on Oral Health Campaign is reaching youth at the most vulnerable age for oral health issues, establishing healthy practices, and beginning to curb the county’s poor dental health issues. Find out more at BrushUpBerks. Hunger and food insecurity is a health and well-being issue that affects tens of thousands of our fellow residents. So what’s the state of hunger in Berks County? To find out, we had researchers from our Berks Vital Signs project investigate. The takeaway is that while there’s been recent improvement in food insecurity locally, there’s still much work to do and there are many people in need. As part of our anniversary celebration, we wanted to continue making an impact on the community while also reflecting on the past, present, and future of important issues. So we are funding a variety of information projects at BerksVitalSigns.com. The first was a recent independent poll of Berks voters regarding Berks Heim, the county-owned nursing facility. The second was the report on hunger. Finally, we have been a lead financial supporter for the Penn Street Market since it was revived and relocated in 2015. The main reasoning behind our support was to help add to the number of events that cause people to walk around downtown Reading. That’s also the rationale behind our support of the Downtown Alive free summer concert series, the annual Fire + Ice Fest, and our Penn Street Arts Program. The more foot traffic there is, the more likely businesses will want to invest in an area. But we also recognized that the Penn Street Market — which accepts SNAP (formerly called food stamps) — provides better access to healthy foods for some city residents. If you’ve got some time to spare for a good cause, Penn Street Market is seeking volunteers for the upcoming season, which starts June 6.